APRIL 6, 2018, marks a significant turning point in the history of education in Nigeria, particularly in Ondo state. 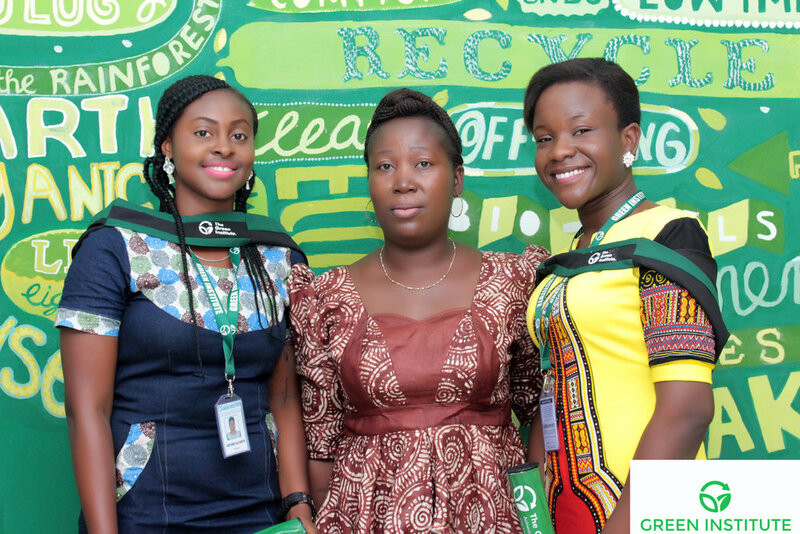 This is because the first set of students who have acquired a novel and unique kind of education known as ‘green education’, graduated on that day. The convocation ceremony took place inside the beautiful hall of the Green Institute which shares the same facility with Homaj Secondary School, Ondo-Akure Road, Itanla, Ondo State, Nigeria. The graduating students, each of whom was awarded a nano degree in Early Childhood Education Sustainability, are Elizabeth Adeyemo and Temilade Adegbite. It was a fascinating story of innovation, intellectual creativity, entrepreneurship and career sustainability. The special guest was Dr. Oyinloye from Adeyemi College of Education, Ondo. The other prominent guests included Mr. T.J. Falowo (Wesley University, Ondo), Mr. Charles Adeyemi (Elizade University), Ms. Akinseye (Adeyemi College of Education) and Ms. Fabunmi (Federal University of Technology, Akure). The other guests in the audience were students from tertiary institutions, professionals, parents and guardians and well-wishers of the graduating students. The convocation ceremony began at about 11:30 am with the showing of two fascinating TED talks on ‘The importance of Relationship in Educating Children’ and ‘What Makes a Good Teacher Great?’ respectively. Each of video clips ran for about 15 minutes. 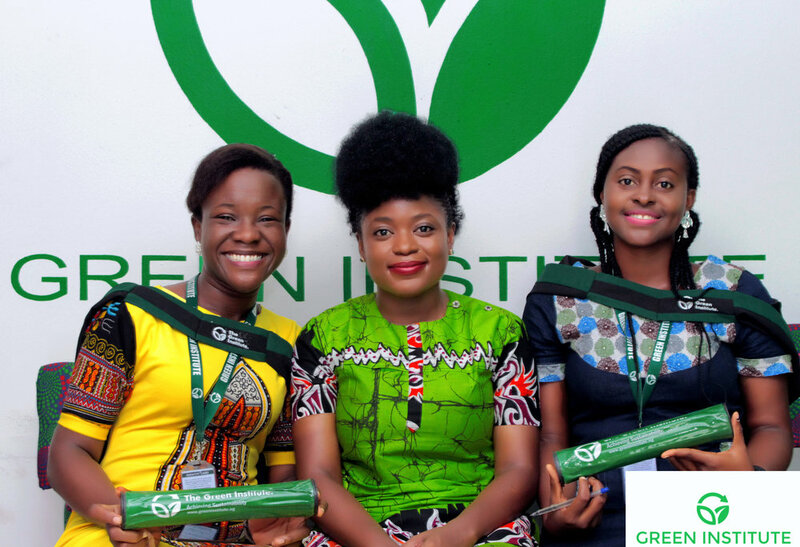 The amiable and ever-smiling anchorperson for the ceremony, Miss Odunayo Aliu of The Green Institute prompted the attentive audience to either ask questions or pass comments on the TED Talks. This opened a barrage of elevating critical comments especially from the guests on the high table, led by Dr. Afolabi. He opined that most of the solutions proffered by the TED speakers might not be applicable to the Nigerian situation because of some peculiar hindrances. By and large, everybody finally agreed that sound ‘relationship’ between a teacher and the students he/she teaches is a necessity for the achievement of learning objectives in schools. After that, Miss Odunayo called on the special guest of the day in the person of Dr. Afolabi (aka ‘Baba Bimbo’) to deliver the keynote address. He was greeted by the whole house with thunderous applause, apparently because he is a respected and popular teacher and academic who is loved by his students especially those in ACE. He presented a paper on “Early Childhood Education for Sustainability”. It was very educative and expertly presented. The high point of the day was the presentation of their research project by the graduating students. Thus, Miss Elizabeth Adeyemo was called, and she came up and did her presentation on ‘Teaching Children with Learning Disabilities for Sustainable Development‘. It was fantastic, and she got general applause for it. Then came the turn of Miss Temilade Adegbite whose research work was on ‘Early Childhood Education Curriculum into Prenatal Care Program: A Suggestive Approach‘. She presented it confidently and got the commendation of all. Of course, as the students were doing the presentations, they were being assessed by a team of distinguished academics who were also on the high table for the purpose. Their assessments would form a part of the final grade of the graduating students. However, after the students finished presenting their research works, the anchor person requested the guests, especially those on the high table, to pass their comments on the performances. Also, Madam Oloyede, the representative of Dr Oyinloye, similarly commended both the founder and the students for their efforts. Other invited dignitaries and members of the audience too did the same. 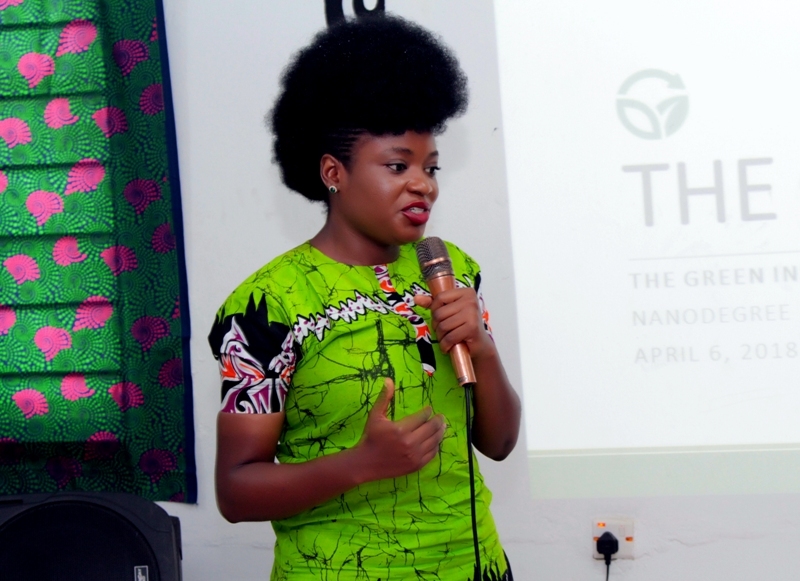 The Founder and Director of The Green Institute, Adenike Akinsemolu, was called to the podium to give her speech. The speech was short and direct. 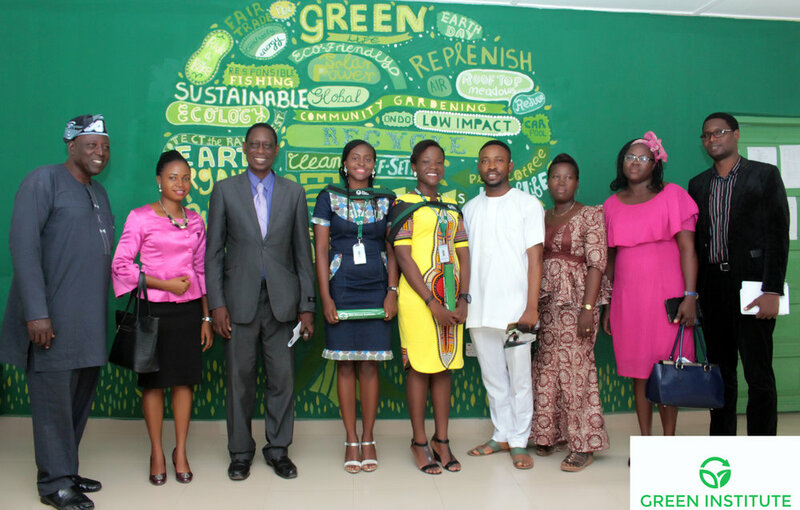 She briefly pointed out that it was hard to start and continue such a novel idea as The Green Institute in such a challenging environment but that because of her focus, determination and committed Team, the dream is finally a reality. She promised that more was still to come. She finally thanked everybody for honouring the invitation to grace the occasion, particularly the special guest and all distinguished guests on the high table. Finally, it was time for taking pictures. It started with group photograph of distinguished guests and the graduates of the day. With what the first convoked students of The Green Institute, Ondo, displayed on the day of their convocation, and with the kind of comments passed on them and the institute by eminent scholars and academics who witnessed the occasion, I am confident that the institute has started charting a new and availing path for the proper education and equipment of students and the youth for sustainable personal, social and economic development in Nigeria. 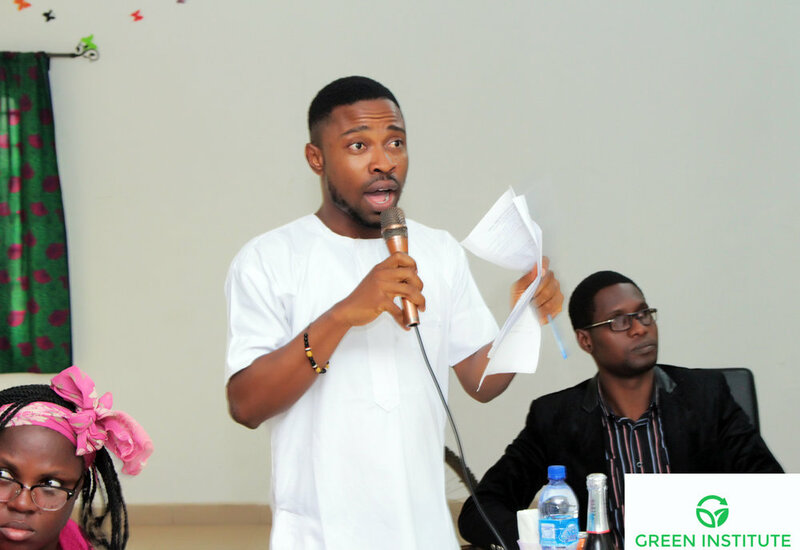 Diverse Opinions: Is Nigeria Really Green? Before finally putting the threads of this article together, I wondered for a while on how the Nigerian public might respond if they were asked ‘is Nigeria really green’? First, is the issue of gas flaring. Gas, a major cause of human and environmental health issues in the Niger Delta, has been flared in Nigeria since the 1950's. When crude oil is extracted from onshore and offshore oil wells, it brings with it raw natural gas (eg CO2) to the surface. In Nigeria, a vast amount of this is burned directly into the atmosphere, resulting in the acidification of waterways and rainfall. This in turn damages vegetation, insect and animal life. Its effects are also associated with cancer, neurological defects, deformities in children, lung damage and skin problems. Many oil and gas companies argue that as transportation, pipelines and infrastructure are lacking, flaring gas as a waste product is the cheapest option. I see this argument as both uncivil and inhumane! What possible justification can be given for directly or indirectly causing life-threatening hazards? Financial implications? The best the federal government and Minister of Petroleum Resources have been doing since 1984 is to grant written permission to these companies to slowly kill our air, and penalize with a fine, other companies that destroy our waterways, without giving them prior notice. Financial implications again! Over the years, they have forgotten that alternative options exist, for example, using this so called waste products as materials for the synthesis and production of plastics. To be considered also are the present plights of the people of Oloibiri (Bayelsa State) and Ogoni Kingdom (Rivers State) - I do remember them most solemnly. These are areas that have undergone devastating environmental degradation: presence of oil blowouts, spillages, oil slicks, and general pollution. Once rich rivers have become empty; fish, if any remain, die in their waters. Same is the case on the already infertile lands; rabbits now hide in their burrows. Yet many cry, 'there is black gold, oil enriches'. How sad! Is it the oil that cannot be used by the Ogonis to anoint their foreheads, or the oil that the people of Oloibiri cannot use to fry their stew? Do not get me wrong at this stage, I am not out for the oil companies, or negatively inclined. I just think that the above narratives have a voice- and this matters. Of course, Nigeria and her federal government had taken some quite remarkable steps in promoting Climate Action and environmental sustainability, over the last few years. Key examples are the Great Green Wall Project, Nigeria Erosion Watershed Management Project (NEWMAP), Climate Change Department, and the proposed Global Climate Change Commission. At the end, the answer to the question lies with us. The onus is on the government, and not private firms, to be the leaders in greening and the environmental sustainability movement at large. Think about it (from an economic standpoint). There really isn’t any incentive for private firms to reduce pollution and be more environmentally conscious (except if it’s in their best interest). Firms are rational actors and would do whatever it takes to maximize profit and reduce costs. In the greening movement, and thinking from a thoroughly macro-perspective, government is the best model to inspire the masses. Green Urban Cities, for example, thrive in Europe, especially in Scandinavian countries where government is bigger. I’m not one to argue for the expansion of government, but if the right checks and regulations are put in place for justifiable environmental policies, this could be a worthwhile rationale. Environmental Tax (Carbon Tax): Governments can tax the pollution of corporations by setting a price on carbon emissions of companies in the region. The economical goal is to make the use of harmful fuels and energy more expensive. Emissions Trading: Several governments have also introduced incentives to control pollution in the form of the cap and trade system. This is more of a market based approach and it has been largely successful in Europe under the guise of the EU Emission Trading Scheme. These two interventions are more viable in established markets and would have a hard time being constructive in less developed markets. Keeping true to our micro-level approach of greening, I believe there are small actionable ways the government can engage people in the sustainability movement. Confronting the consumer: With the help of non-governmental organizations, the government could utilize public awareness campaigns to engage and educate the masses on the best sustainability practices. Gradually, teams of households could be set up in neighborhoods who modify consumption patterns and take account of the waste and disposal patterns. Employee mobility: Returning to theme of the government of being the best model for sustainability, there could be policies put in place that charge governmental employees to employ environmental friendly modes of transportation. Carpooling should be encouraged and if vehicles are bought for the government office, they should be more energy efficient and low polluting. The Leicester Bicycle program, for example, has been quite successful and there is a lot to be learnt from that city-wide endeavor. Management of government buildings: Governmental building have to be used more creatively to reduce long term environmental impacts. Recycling bins should be located throughout the building and office appliances ought to be used more efficiently to lessen energy consumption. Ecological Twinning: The environmentalism movement is a global one. We can’t afford to be myopic when dealing with such a global crisis. Ecological twinning involves partnering with other cities, possibly in other countries, by exporting sustainability practices. Other programs that encourage intra-country partnering on environmental sustainability should also be encouraged. I want to emphasize that most of these actions should be taken at the local government level. Smaller scale investments are much likely to yield faster results. Once established, the federal government can then adopt a more macro level approach like the environmental tax and emissions trading discussed above. We’d love to hear from you; should government play a leading role in the sustainability movement or should it be left to the free market? What do you think? Olaoluwa holds a Masters in Public and International Affairs from the University of Pittsburgh and a Bachelors from Lincoln University. His core interests include poverty alleviation and youth empowerment. In his spare time, he enjoys reading, writing and watching sports. In the future, he hopes to obtain a doctorate degree where he aims to study exclusionary policies that limit youth participation in politics. 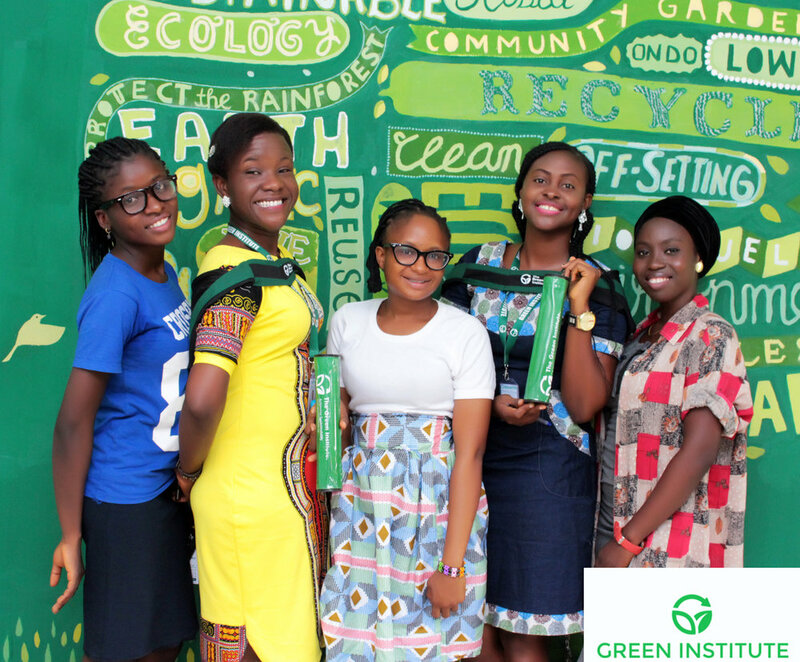 Enjoy the poetic side of going green in this spoken word video about achieving sustainability ecologically, economically and socially by Adeyemi College of Education's Green Team. It was performed by Olayinka Ojo, shot by Vincent Akinbinu and directed by Adenike Akinsemolu.